I gather together here some short historical studies, mainly prepared for the novices at Kristo Buase Monastery. The first concerns the fifteenth century founder of the Subiaco-Cassinese Congregation, Ludovico Barbo, Bishop of Treviso. A shortened version of this paper was published in two issues of "Pluscarden Benedictines" in 2009. The title is "Ludovico Barbo and the Origin of the Congregation of Santa Giustina". There is a short reading list of monastic classic texts on the Oblate page, this is a longer presentation of monastic writings available in English translation designed to accompany a course on Monastic History and Spirituality. The basic framework is provided by David Knowles' "Christian Monasticism". 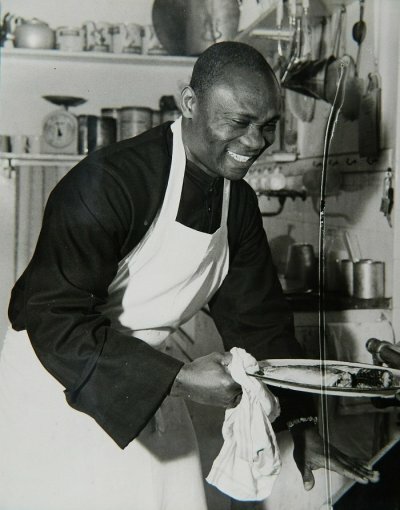 The following file, "Don Hadriano Pio, First African Monk", is a shortened translation of an article by D. Giovanni Lunardi, published in "Sacro Speco" in 1972. He is an important figure for our Congregation and for Black History in general. D. Hadriano Pio was a freed slave, who returned to his native Sudan with St Daniel Comboni as a monk-missionary to his own people. He was the first African monk and priest of our Congregation. The Subiaco-Cassinese Congregation's archive is housed at the Curia Generalizia, Via di S. Ambrogio, 3, 00186 ROMA, Italy. 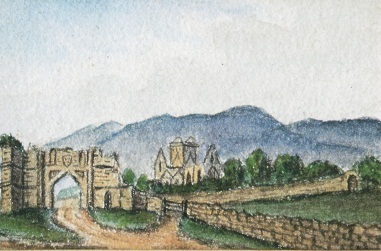 Pershore Abbey (which later relocated to Nashdom Abbey, Buckinghamshire) had an Anglican Benedictine foundation in the Gold Coast from 1923 - 1931. In all, six monks were involved: Fr Dom Peter Harris, Fr Dom Dominic Carter, Fr Dom Martin Collett, Fr Dom Bernard Clements, Fr Dom Gregory Dix (at that time still only a regular oblate of the Nashdom community) and Fr Dom Francis Wheeler. 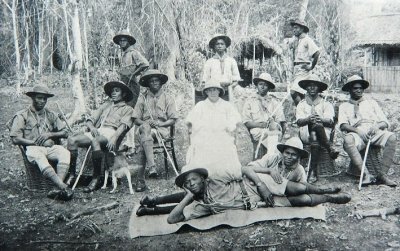 There was little stable community life: the monks had pastoral care of the Anglican community centred on St Cyprian's Church, Kumasi (with outstations throughout Ashanti); St Andrew's Church, Sekondi; Christ Church, Cape Coast. They also ran St Augustine's College, Kumasi, for the training of Anglican Priests. 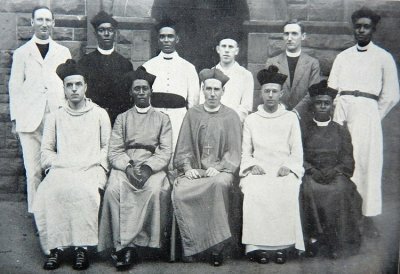 This photo, a plate from the first volume of "The Golden Shore", shows the Anglican clergy of the Diocese of Accra at the Synod of Clergy, 13th January 1925. Fr Peter Harris, OSB, back row, 3rd from right; Fr Martin Collett, OSB, front row, 1st left; Fr Dominic Carter, OSB, front row, 2nd from right. Both photos from "The Golden Shore", Volume 1, 1925. Some of the books from Nashdom Abbey Library were given to Kristo Buase Monastery at the time of our foundation. Both communities, Catholic and Anglican, derive ultimately from Aelred Carlyle's monastery on Caldey Island. I am trying to write a history of this community from the contemporary sources. As a first step I will upload transcripts from the Pershore / Nashdom Quarterly Magazine "Laudate" relating to the African Foundation. I am grateful to Dom Simon Jarratt, Prior of the Elmore community which has now relocated to the Cathedral Close, Salisbury, for allowing me to make use of their archive materials. 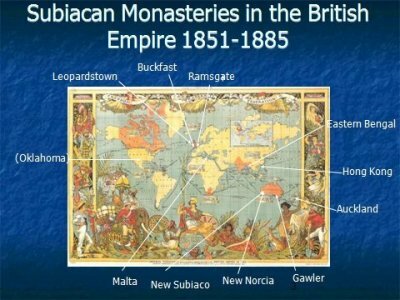 "Anglican Benedictines in the Gold Coast".